​The Dream Team is nearly complete out in LA. Say it with me, folks: B-Easy is a Laker. Now say it again. And try not to spit up your drink. ​​Yes, Michael Beasley (!) is joining up with LeBron James in Los Angeles. He'll don the Purple and Gold alongside newly-minted teammates like Lance Stephenson and JaVale McGee. LBJ will surely try hard not to strangle any of them. ESPN's Chris Haynes reports that the one-year contract is worth $3.5 million. 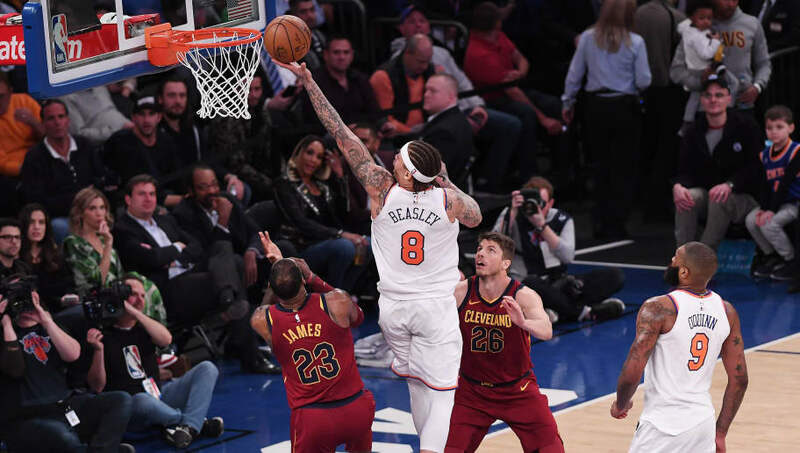 ​​Last season with the Knicks, Beasley averaged 13.2 points and 5.6 rebounds in 22.3 minutes per game. He shot just over 50 percent from the field and 39.5 percent from three on 86 attempts. Those figures aren't bad. But he's still Michael Beasley, and it's still the allegedly self-respecting Lakers. ​Yep, it's gonna be long, long season at Staples Center. Buy popcorn in advance so you don't run out.